As many as 73% of shoppers prefer to have personalized shopping experiences, and up to 46% purchase more items when they receive more relevant offers and marketing messages. To keep pace with shopper demands, brick-and-mortar retailers are encouraged to deliver these more tailored experiences in stores. 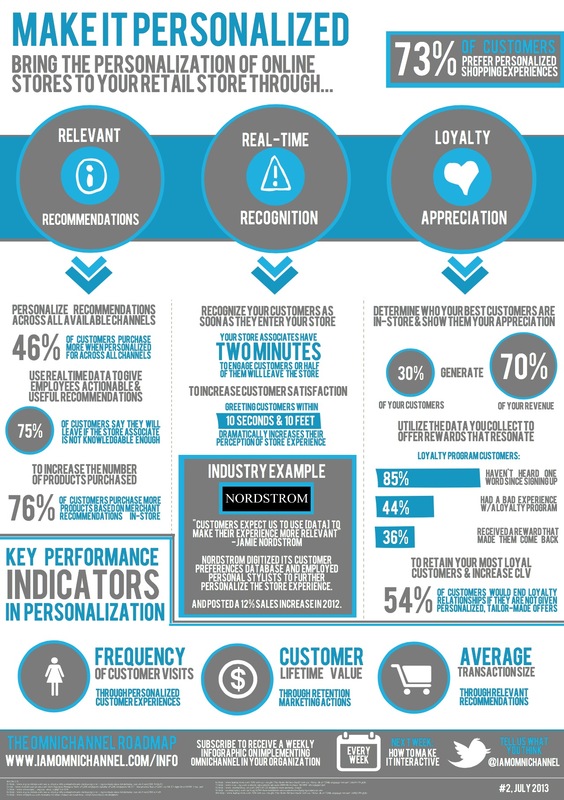 This infographic, courtesy of I Am OmniChannel, shows retailers how to incorporate personalization into brick-and-mortar locations to keep pace with pure-play competitors.